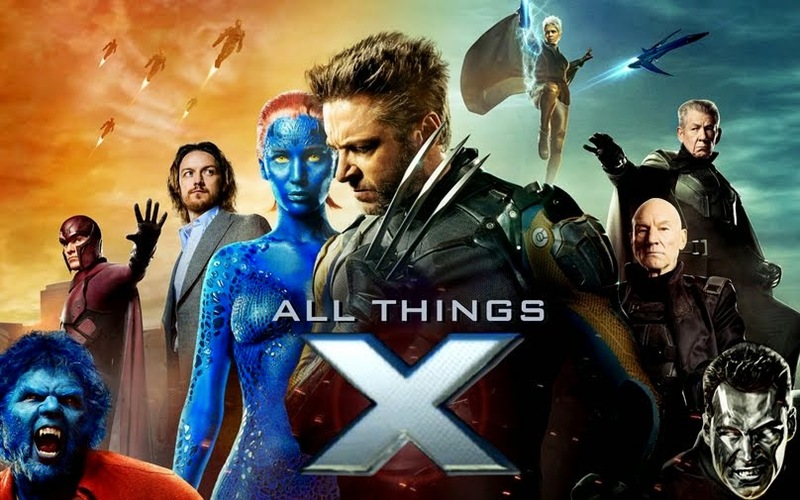 All Things X: Apologies for the hiatus...But I'm back! Hey there fellow X-fanatics! Hope the year 2013 is going great for you'll so far! Sorry for the unannounced hiatus from the blog- it was totally unplanned & just happened- "real life" stuff you know. :P But I'm back, serving you'll up with all the interesting little tidbits I can find regarding our beloved X-Universe! As always you'll continue to find awesome cosplays, reviews of all the highly anticipated comic book movies of 2013, concept art from the various X-Men movies, some of my own art & much more! This year will DEFINITELY be more interesting for us X-movie fans compared to the quiet 2012! The Wolverine releases in July & the much-awaited sequel to 2011's X-Men First Class, X-Men: Days of Future Past, will FINALLY begin filming this year as well! Watch out for news & discussions regarding both movies right here. One thing I intend to continue doing is updating the existing older posts with new info, so you get all the news related to one particular topic on one page. And whenever I update, I'll list the updated posts just below the blog banner.